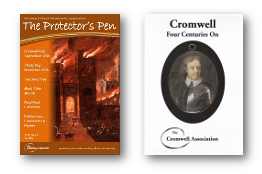 After a long period of introspection, discussion with the parliamentary committee, and lobbying by the army, in this short speech on 8 May 1657 Cromwell told parliament of his final resolution to reject the crown, as offered to him in the Humble Petition and Advice. There are sometimes doubts about the authenticity of some of Cromwell’s speeches, but the language here is characteristically Cromwellian: the repeated use of ‘honest’ and ‘honest man’, the comments – almost asides – in parentheses, the slight hesitations and general lack of polish. This is Cromwell as the plain, russet coated captain, rather than the austere head of state. Having said that, Cromwell’s approach is immensely respectful towards both MPs and parliament as an institution. He agrees that the ‘Civill Rights & Liberties’ of the nation are well served by the new constitution, as is liberty of conscience for religious minorities. In what may be a reference to his speech to parliament on 12 September 1654, Cromwell refers to these as ‘Fundamentalls’ – his lines in the sand. But, he continues, the good things contained in the Humble Petition are offset by the title of king. Cromwell accepts that the MPs had the perfect right to make the offer, and that private judgements must generally give way to the will of parliament, but adds that he has, as an individual, a right to act according to his own ‘conscience’, as he is answerable before God as a higher authority even than parliament. It is interesting that although Cromwell’s arguments are based on religious scruple, he does not deploy biblical quotations or allusions to support his argument. Unlike his comments to the parliamentary committee in previous weeks, there is no outpouring of emotion, no cry of ‘I would not build Jericho again’. Instead, the language is overtly plain and straightforward, and cannot be misinterpreted. One might add that, compared with his usual speeches to parliament, this one is mercifully brief. What must be borne in mind, however, is that Cromwell is being slightly disingenuous. He wanted to retain much of the substance of the Humble Petition, with its House of Lords and stronger parliament, the weaker council, the protector holding the reins of power; but he did not want to accept the crown. Yet parliament had made it clear from the start that the Humble Petition was offered on an all or nothing basis. Cromwell had already signified his intention of modifying the details of the constitution through his reply to the committee on 21 April. By being brief and business-like in this speech, perhaps he hoped to end further discussion on the crown, so that the negotiations on the revised constitution could proceed without further time-wasting and divisive argument. The problem was that the supporters of the civilian constitution were thoroughly demoralized by Cromwell’s refusal, and thereafter the initiative passed to their enemies in the army interest, who were determined to bring it more in line with the Instrument of Government that it was supposed to replace. The resultant Additional Petition and Advice would prove controversial, and the new constitution, formally adopted in June, was both unsatisfactory and incomplete. I came hether to answere that, that was in your last paper to your Comittee, you sent to me, which was in Relation to the desires which were offered to me by the house, in that which they called their call Peticon. I confesse that busines hath put the house ofParliamt to a great deale of trouble, & spent much tyme. I am very [sorry] that it hath cost me some, & some thoughts; and because I have ben the unhappy occasion of the expence of soe much tyme, I shall spend little of it now. I have (the best I can) resolved the whole busines in my thoughts, & I have said soe much already in Testimony of the whole, that I think I shall not neede to repeate any thing that I have said. I thinke it is a Governmt that (in the aymes of it) seekes much a setling of the nation, on a good foote, in relation to Civill Rights & Liberties, which are the rights of the nation: and I hope I shall never be found to be one of them, that shall goe about to rob the nation of those rights, but to serve them what I can to the attayning of them. It hath alsoe exceeding well provided for the safety & security of honest men, in that great, naturall, and Religious Liberty, which is the Liberty of Conscience. 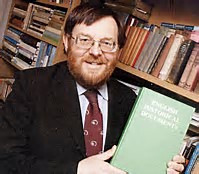 Those are great Fundamentalls, & I must beare my testimony to them (as I have & shall doe still, soe long as God lets me Live in this world) That the Intentions of the things are very honourable, & honest, & the Product worthy of a parliamt: I have only had the unhappines (both in my conference with your Comittee, and in the best thoughts I could take to my selfe) not to be convinced of the necessity of that thing (soe often insisted upon by you) to witt, the Title of king, as its its selfe soe necessary as it seemes to be apprehended by your selves. And I doe withall honour & respect to the Judgmt of a Parliamt, testify, that (caeteris paribus) no private Judgmt is to lye in the ballance with the Judgmt of a Parliamt; but in things that respect particuler persons, every man that is to give an Account to God of his Actions, must in some measure be able to prove his owne worke; & to have an Approbation in his owne Conscience, of that that he is to doe, or to forbeare And whilst you are granting others Liberty, surely you will not deny me this, it being not only a Liberty but a duty (& such a duty as I cannot without sinning forbeare) to examine my owne Heart, & thoughts, & Judgment in every worke which I am to set mine hand to, or to appeare in, or for. confident in this, that (what with the Circumstances that accompany humaine Actions, whether they be circumstances of tyme, or persons, whether circumstances that relate to the whole, or private particuler Circumstances, that accompany any person that is to render an account of his owne actions) I have truly thought (& doe still thinke) that if I should (at the best) doe anything on this account to answere your Expectation, It would be (at the best) doubtingly; & certainly what is soe, is not of Faith, & whatsoever is not Faith, is sinn to him that doth it, whether it be with relation to the substance of the action about which that Consideration is conversant; or whether to circumstances about it, which make all indifferent actions good or evill, to him that doth them.